Below is Jo’s reflection on participating in the Cooke Outreach Representative (COR) Program, an initiative where participating Cooke Scholars visit middle schools, high schools, and community colleges to facilitate presentations and workshops related to our scholarships. Later this week, we’ll share Homero’s outreach experience. “Why reach out?” I think about that question every time I squeeze speaking engagements and discussion panels regarding scholarships into my already completely filled schedule. A schedule now occupied with a second year of law school, which brings me to the answer: because I was able to attend law school. Well, that is the generic answer. The more detailed version is, “A complete stranger left his fortune and legacy behind to high-achieving students with financial need and a vision for changing the world – I was one of them.” Like many scholars, when selected, I made a silent promise to Uncle Jack to repay him somehow. But how? The more I reflected on my academic journey, one common denominator stood out. Outreach! I never would have known about the Cooke Foundation if not for others who reached out to me!! I knew the best promise I could keep was to speak to community college students about scholarships. I just wanted to share the possibility of something greater with other students. When I began to wonder how I could reach this audience, I received an inquiry from a former Phi Theta Kappa adviser. She asked if I was available to speak on a panel regarding scholarships. (Thank you, Universe!) At the 2012 Arizona Phi Theta Kappa Regional Conference, I shared the same story I enclosed in my own Cooke Undergraduate Transfer Scholarship application. It was that easy. All I truly needed was to make outreach a priority and an audience to speak to! I’ve returned every year since. In the fall of 2014, the real magic happened. Not my speech. That was mediocre at best, I was trying a new method where I yelled out figures and asked the audience to keep track of the math, “Because that’s not my major for a reason!” By the end of my speech, the total tuition paid for entirely by scholarships exceeded $200,000. I wrapped up the session in the usual way, telling anyone who would listen, “You can do it too, if you think big, work hard, and achieve.” I had no idea what would happen next. I left that conference, feeling good about my continuing promise to Uncle Jack. I hoped it was enough. I didn’t think about that weekend again until Scholars Weekend this year. A new Cooke Undergraduate Transfer Scholar from Arizona approached me, “Hi Jo, I’m Homero.” We had already connected via email, so I knew of Homero, but did not know much about him or his story. Before I could even ask he said, “I just wanted to find you and thank you.” I was puzzled as to why this young man could possibly be finding me to thank me. “For what?” I replied. Homero then dropped the bomb that gave me all sorts of feels (most of which still haven’t left). Homero was in attendance at last year’s conference- the mediocre one full of math! Homero said that he did not know the Undergraduate Transfer Scholarship was even a possibility for him, and that because of me, he applied. He applied and was awarded! That’s it. That’s how easy it is to change someone’s life. It cost me two hours on a Saturday. But the reward substantially outweighs any cost of time. 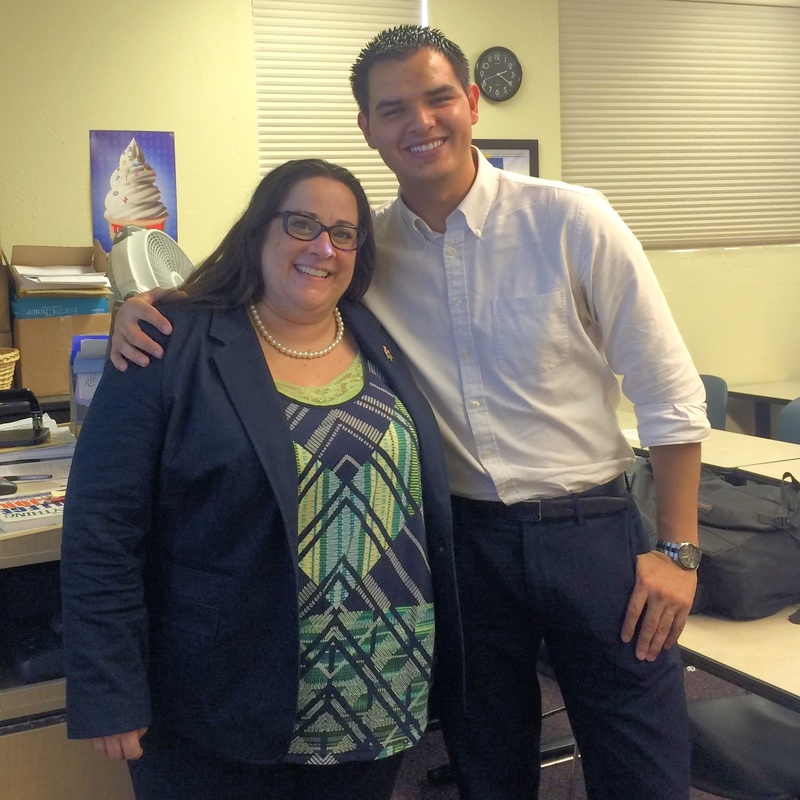 I know that it is Homero’s hard work and vision that made him a Cooke Scholar. I’m just grateful I held up the mirror for him. After all, someone did that for me once.